offering six luxury size rooms and suites, all with waterviews and seaside decks. a beautiful boutique B&B that's been magnificiently restored to the essence of yesteryear, with all modern conveniences. yet you're just steps away from the historic village center. Total relaxation and lasting memories await you. We invite you to be our guest! We invite you to visit our partner "Harbor House Inn" www.harborhouse-me.com for availability if we should be full, or during the months we are not open. Don't miss the beautiful fall foliage and "Festival of Lights" events that are taking place through December. "Breathtaking views and gorgeous gardens. Phil and Laura are lovely hosts and their gardens are easily the most beautiful in town..."
"A wonderful stay!" "It's a fabulous seaside inn with a view that a website can't give a real sence to. 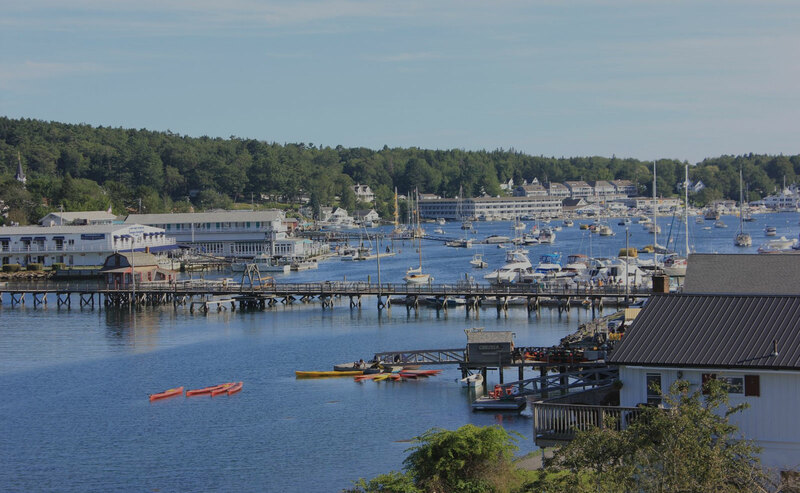 They have their own little stretch of the harbor side where you can sunbath, take their complimentary kayaks, or just watch the tide come in..."
"Picture Perfect" "We couldn't have picked a better place to stay for my wife's first visit to the coast of Maine. The accomodations were beautiful, comfortable, and spacious ~~ on the water and within walking distance to all there is to do and see in town ...having two kayaks available to tour the harbor was a treat! We only regret not being able to stay longer!!!" "Outstanding B&B with Excellent Hosts" "Highly Recommended! 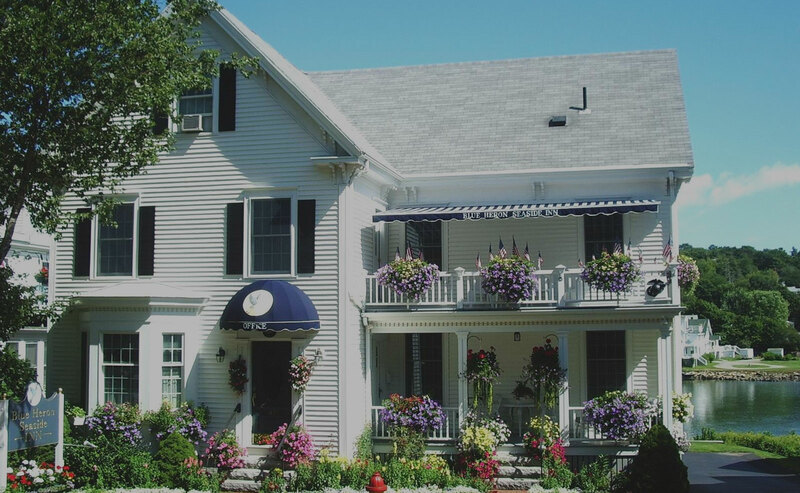 The Blue Heron is a perfect place to stay in Boothbay Harbor. 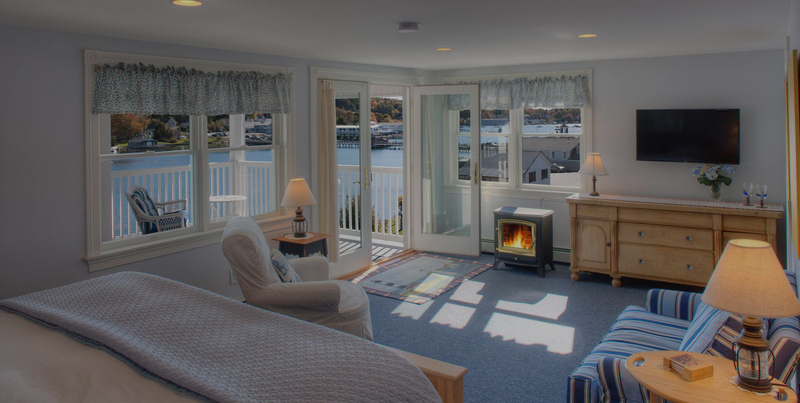 The view is truly outstanding; the balconies are ideal for enjoying the scenic beauty of the harbor, including the blue heron that frequents the rocks just out from the shore at the B&B. Thanks Laura and Phil for a wonderful experience." "Our oversized room with a private bath offered all the comforts of home and more. The coveside porch overlooked the entire length of Boothbay Harbor. It became our daily ritual to sip morning coffee and afternoon wine on our deck watching the tide come in and out..."
Copyright © 2019 Blue Heron Seaside Inn. Website Development & Hosting: AfterFive by Design, Inc.